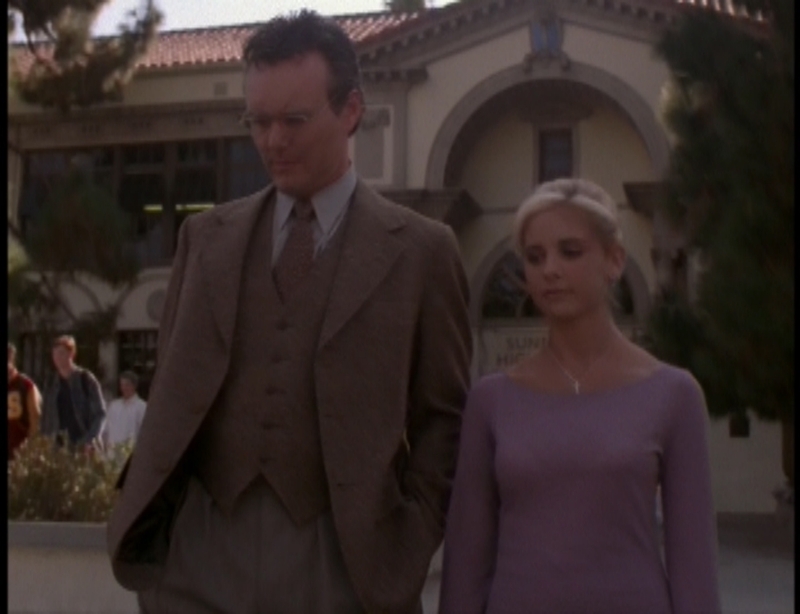 The episode opens with Buffy studying for her SATs with Giles out in a cemetery. She fights a vampire and stakes it with a pencil. Giles gives her the answer to the question she was going over: “All things tend towards chaos.” Buffy laments that nobody else is working as late. The next shot shows the Mayor (Season 3’s Big Bad) working late with his right hand vampire Trick. Trick plans on hiring out a “distraction” so that the Mayor is free to pay tribute to a demon. 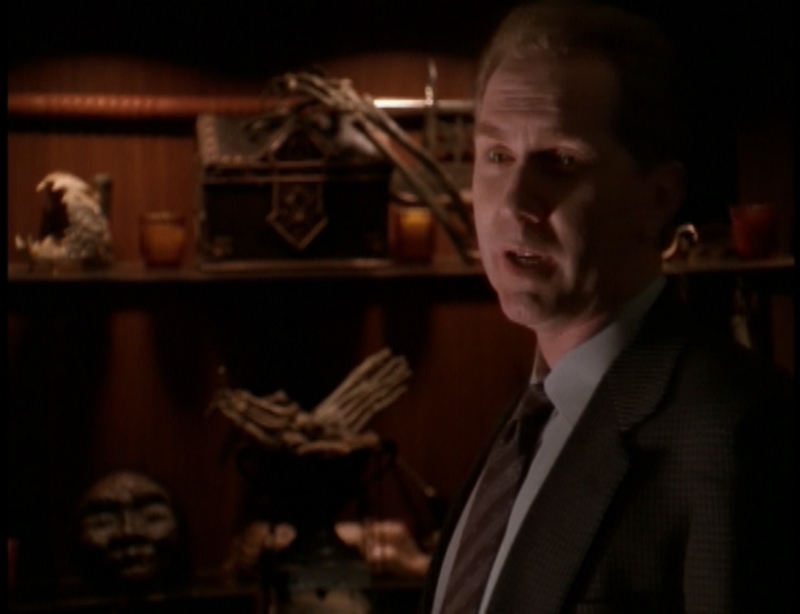 You may notice that the Mayor has a bit of a Mitt Romney/Donald Trump feel in how disturbingly cheery he is, even when he opens a cabinet filled with preserved dead things and occult items. The next morning, Buffy laments with her friends about her SAT-related anxiety and the pressure her mother and Giles are putting on her. They walk to the cafeteria to find Principal Snyder handing out candy that everyone needs to sell to raise money for the band. After school, Buffy begs her mom to let her practice driving. Problem is that Joyce doesn’t want Buffy driving off somewhere and never coming back. Buffy jokes about how she ran away on a bus in the previous season, which is still a sore spot for Joyce and most of the fandom that hasn’t gotten over “Becoming Part 2.” Buffy goes off to spend time with Giles but gets out of her training by saying that she needs to be home. We know that she’s lying to both of them. Wanna guess why? Yep. Angel. Back from Hell and practicing tai chi without a shirt. I can completely understand Buffy wanting to spend as much time as possible with Angel, but can he at least put a shirt on? (And yes, call me a hypocrite because if you showed me a scene involving the other hot shirtless vampire, I would be drooling. I’m just not attracted to David Boreneaz. Never was.) Pointless fanservice aside, the Bangel subplot was one of the things I didn’t like about Season 3. While I can relate to wanting to be with the ex you never get over, Buffy is kind of proving her parents right about her lack of responsibility. When Buffy gets home, she gets in major trouble with her mother and Giles for lying to them and to Willow about her whereabouts. 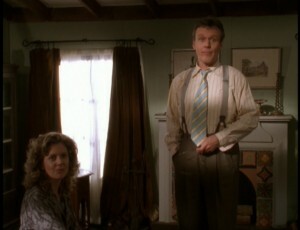 Buffy decides to lie to her parents about where she was and complains about how much time both of them demand from her. Buffy gets sent to her room after Giles tells her to not “freak out.” This is a nice scene for both Giles and Joyce because they both want to protect Buffy, but have no idea how. 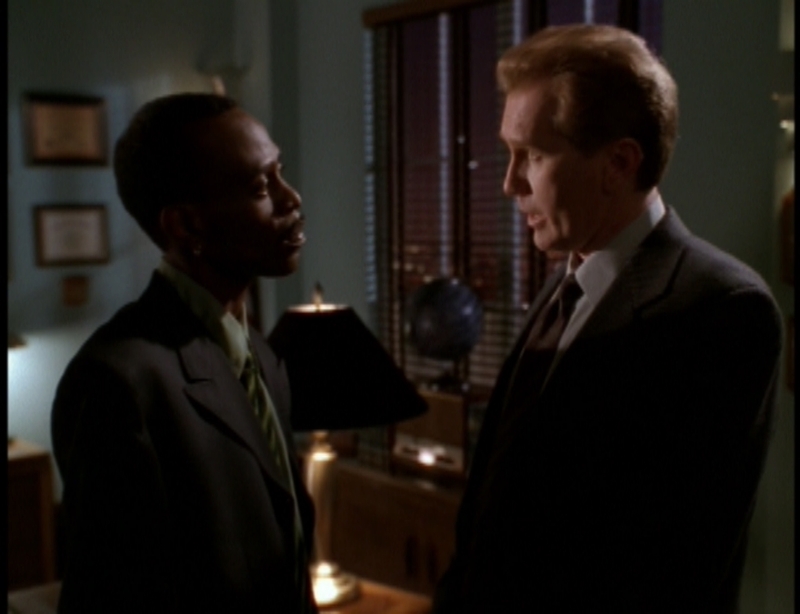 If you notice, this is when both Giles and Joyce start eating the candy. Keep that in mind. Over in some mysterious factory, Giles’s old frenemy Ethan Rayne is managing the band candy assembly line. He tells one of the workers not to eat the candy, which sends up a red flag. The next morning, Cordelia and Buffy wonder where Giles is while Xander and Willow play footsie under the table. The scene between them would be adorable but the problem is that they are in perfectly happy relationships with other people. 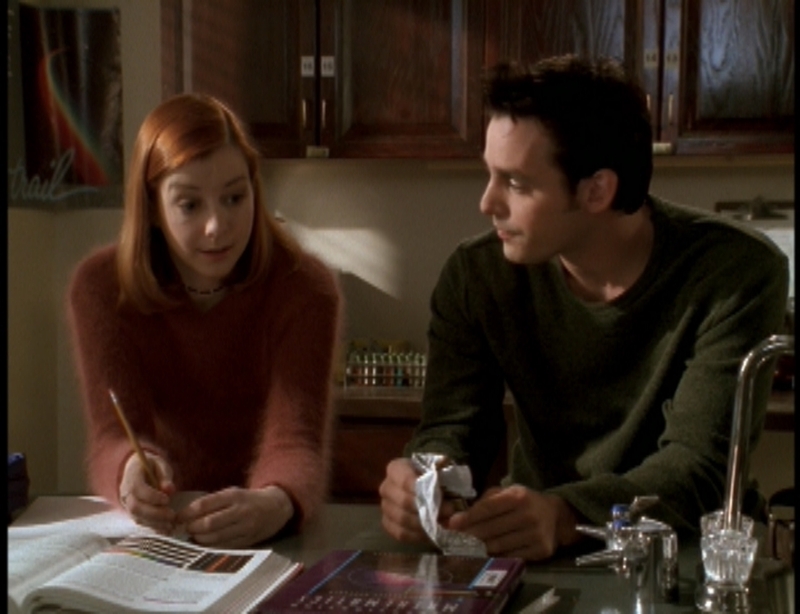 Another lament I have with this show: They played around with Xander and Willow having more-than-friends moments, but never actually let them have a relationship or gave either of them closure on why they can’t be in a relationship. Principal Snyder whines about Giles not showing up and gets Ms. Barton to substitute. 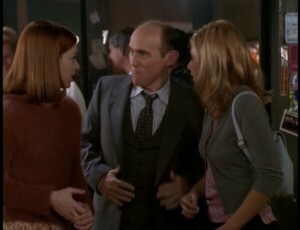 Buffy drives with Willow to the Bronze and find the place is packed with older adults, even as Oz and his band are playing. Buffy and Willow wonder what the heck all the grown-ups are doing at the Bronze. They come across a very ditzy Ms. Barton and a very dorky, fun-loving Snyder. Buffy, Willow, and Oz watch the night turn into a squick-inducing spectacle and Buffy decides to figure out what’s going on. Snyder tags along with Buffy as they head out into town. Out on the town in the shopping district, Joyce admires a jacket in a store window and Giles breaks a window to get it for her. They get held at gunpoint by a cop who’s under the influence of the candy. Giles fights off the cop and takes the gun. Then the Giles/Joyce ship turns into a steamboat as they make out on the hood of the cop’s car (and do a lot more off-camera). When Buffy and company look around town, Buffy notices that no vampires are out attacking the vulnerable adults. When Snyder whines over someone stealing his candy, Buffy asks Snyder about where the candy came from. She sends Willow and Oz to the library while she goes off to the factory. At the factory, a small group of adults are raving over getting more candy while Buffy gets a major gross-out at the sight of her mother making out with her Watcher. Buffy has a spat with both of them and fights the guy handing out the candy, taking her mother and Giles inside. Snyder follows in, wanting a piece of the action. Inside the factory, Buffy finds Ethan on the phone. Ethan, at the sight of his old frenemy, runs off. 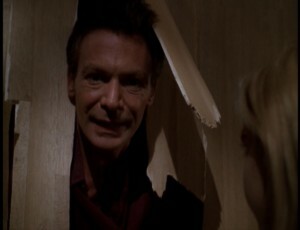 Buffy and Giles give chase and eventually find Ethan hiding inside a crate. 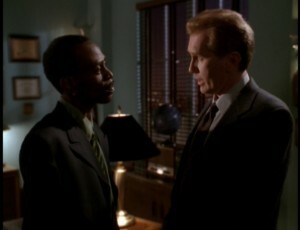 Giles wants Buffy to punch Ethan’s light house while Buffy interrogates Ethan about what he knows. Ethan admits that he was hired by Trick to create the candy as a diversion while Trick collected a tribute for the demon Lurconis. When Buffy asks Ethan what the tribute is, the camera cuts to a group of vampires collecting babies from a hospital. Buffy asks Willow to get some further info on Lurconis. Ethan tries attacking Buffy but Giles holds him at gunpoint and Buffy knocks Ethan to the ground. Still on the phone, Willow tells Buffy that Lurconis has a ritual every 30 years and that he eats babies. Joyce gives Buffy handcuffs to use on Ethan and the four of them head out to the hospital. Giles remembers something about Lurconis, that he’s a glutton who lives in the sewers. He starts sniping off at Snyder but Buffy quickly takes control of the situation. She tells Snyder to go home and tells Giles to come with her to the sewers and stop making out with her mom. Down in the sewers, Giles and Joyce rescue the babies while Buffy takes care of Trick’s minions and burns Lurconis to a crisp. Trick escapes with a snark. At the Mayor’s office Trick tells the Mayor that Ethan left town and that he doesn’t have to worry about owing anything to Lurconis. The Mayor hints at his darker side, but we won’t get to see that until later this season. Things at Sunnydale High are back to normal, with Snyder asking Willow, Oz, Cordy, and Xander to clean up a “Kiss Rocks” graffiti on the lockers. 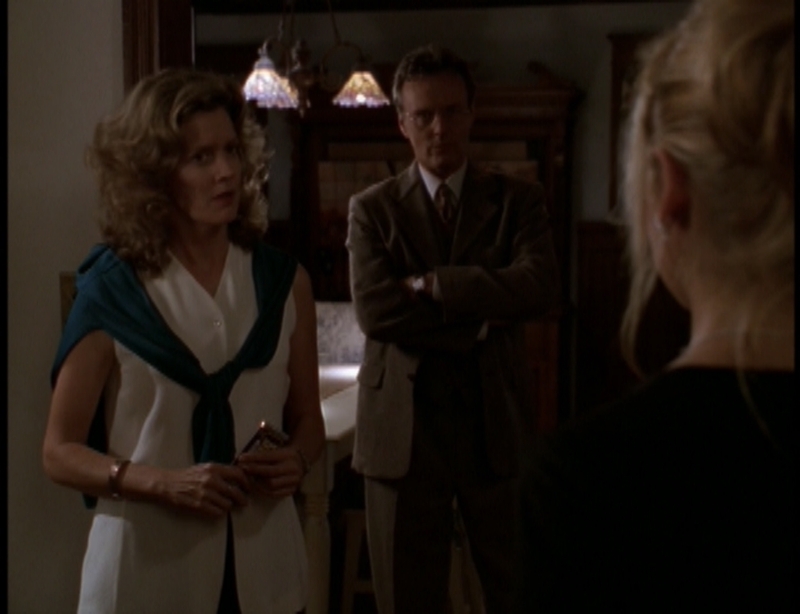 Buffy laments to Giles about how “nothing made sense” and how she felt “so alone”…about taking the SATs. She meets her mom outside and sighs in relief that nothing happened between them. Of course, her mother and her father figure know otherwise. I gotta give kudos to Anthony Stewart Head and Kristine Sutherland for how awesomely they acted in this episode. It was awesome to finally see Ripper in action and it’s hilarious to see that Buffy and her mother aren’t all that different. The only thing I wish is that the writers would’ve taken advantage of the Giles/Joyce romance. It’s also good to see Buffy taking responsibility when the situation calls for it, but I still wish she wasn’t sneaking around because of Angel. I recommend this episode to casual as well as die-hard fans of the show because it doesn’t really have any major plot points, but it doesn’t feel like a “filler” episode the way other episodes in the show feel.